What constitutes an award-winning website? The BetterYou project is one of our favourites – we delivered an attractive, engaging, high-performing eCommerce experience for an innovative and inspiring brand who are great to work with. 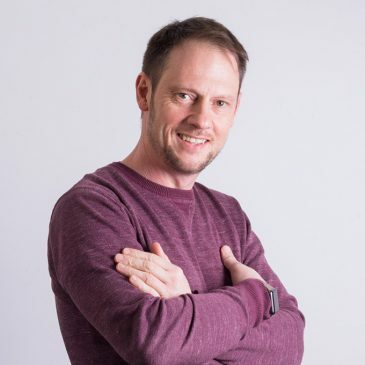 The ROI of the project already has been outstanding, allowing BetterYou to accelerate sales, and continue building the brand online, something we’re excited to be a part of. By focusing on the customer experience, and carefully researching and planning the User Experience, we created a customer-first design that has out-performed expectations. With an agile approach to R&D, the technical team combined rock-solid Open Source and commercial platforms (WordPress, Magento and Algolia), and bespoke code to deliver an excellent eCommerce experience – with sales figures and conversion rates to prove it. 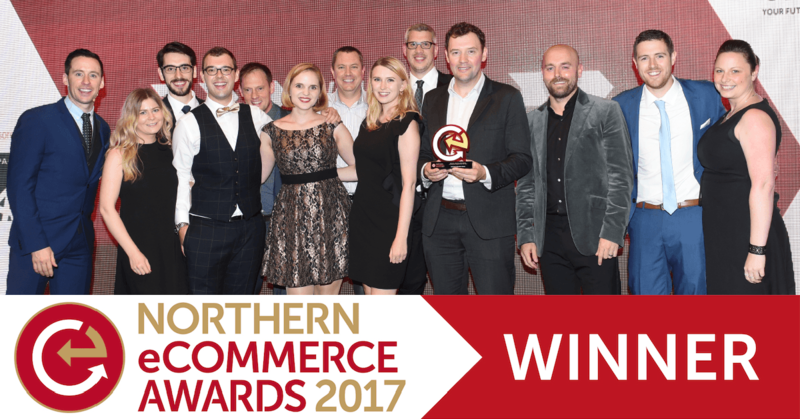 To make it even better, we recently won the Beauty, health and wellbeing eCommerce site of the year award at the Northern eCommerce Awards in Manchester. We’re over the moon and couldn’t be prouder of the work we’ve done with BetterYou, so we thought we’d let you in on exactly what makes an award-winning website (in our case, anyway!). Whilst the site was inspired by fashion sites, we were sure to include a clean, clinical aspect to echo BetterYou’s nutritional and scientific background. We kept the design super simple and clear, keeping focus on the rich content. 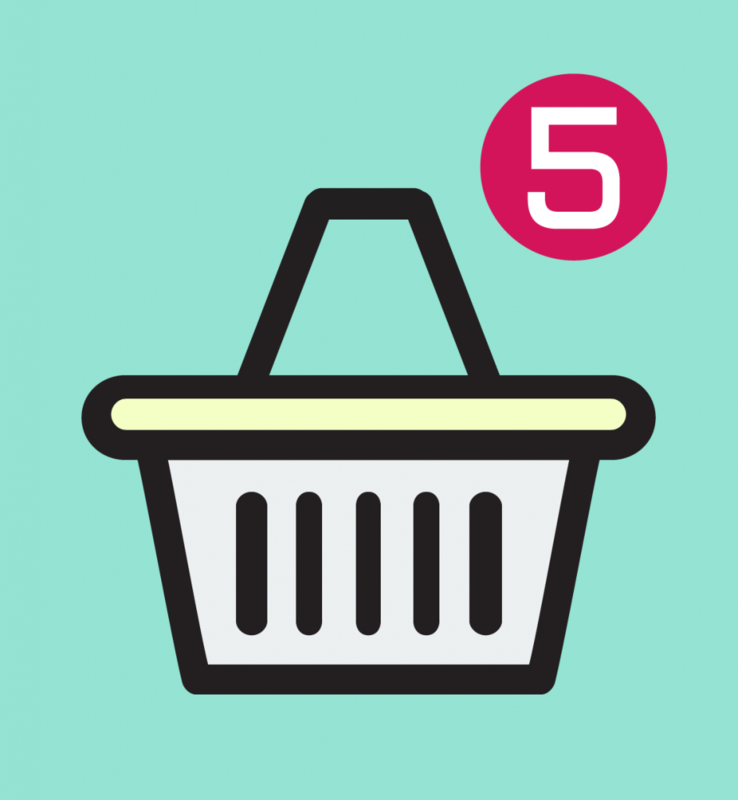 The user can add a product to the basket within one to three clicks. No gimmicks, no distractions, just great UX. A big design challenge was communicating a wide range of technical information on the product pages, while reducing ‘visual overload’. The design team used a clever combination of icons, photo gallery, information within accordions, testimonials, award badges, and related products, to give the user everything they need to convert. Site search is a crucial aspect of eCommerce customer experience. The BetterYou search is powered by the state-of-the-art Algolia platform – searches are quick, spelling errors are corrected, and results are suggested as the user types. We delivered a simultaneous product and information search from both Magento and WordPress. Each product page produces custom related products, helping to increase conversions and average order values. 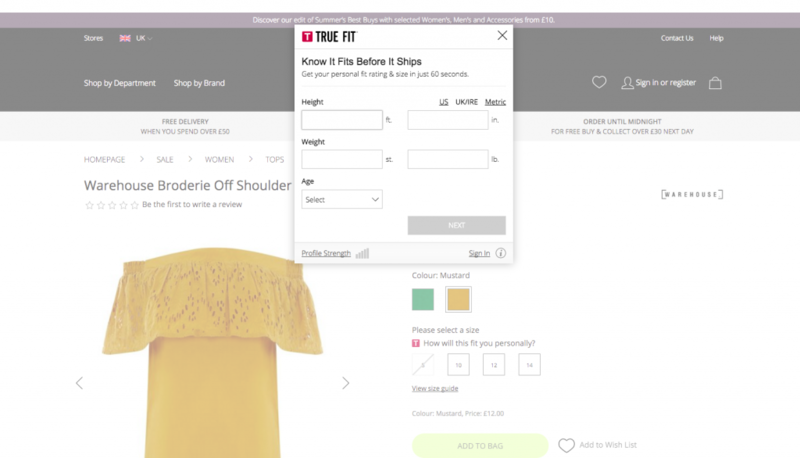 When adding a product to the basket, the user is faced with an easily closable, non-evasive pop-up suggesting other relative products. The checkout process had to be as frictionless as possible. In-basket, the user can quickly revise an order; in-checkout, we created a satisfyingly short user flow (covering logged-in customers and guests alike). An integration with Postcode Anywhere automatically selects the correct delivery method for the order. The customer is informed of multi-buy discounts and free shipping “on the fly”. Logistics-wise, BetterYou required the site to sync various data with a Sage 200 installation. We ensured the integration transferred order data inc. and ex. VAT, delivery information, and complex multiple bundle information. We specially customised a Magento community module to export sales info in real time through to the Sage system. Magento was the obvious platform to host the eCommerce site, especially with the functionality required, as well as the ambitious traffic, AOV, and conversion targets. 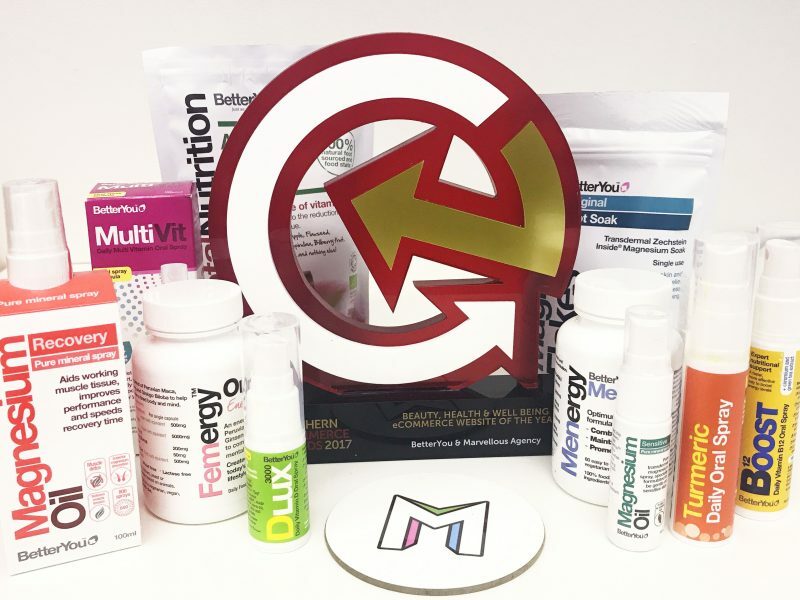 However, BetterYou are a leading authoritative source of health and wellbeing information, so they needed a platform that would suit constant rich content updates. We created a health and wellbeing section on WordPress that we integrated fully with Magento, which includes blog posts, social media feeds, newsletter signups, FAQs, and case studies. The result? A user-friendly CMS that benefits BetterYou’s extensive marketing strategy, as well as the functionality and scalability of Magento. BetterYou needed a website that not only brought in more traffic, but converted more too – especially on mobile. Since launch (a little over one year ago), they’ve had over 260,000 sessions, with almost a 3% conversion rate. Since launching the new website, the revenue year on year has increased by 50%, and continues to grow as we continually add new functionality. The Northern eCommerce Awards was a great night, and we’re delighted that some of the team from BetterYou were able to join us. We celebrated in style with plenty of beer and wine flowing! 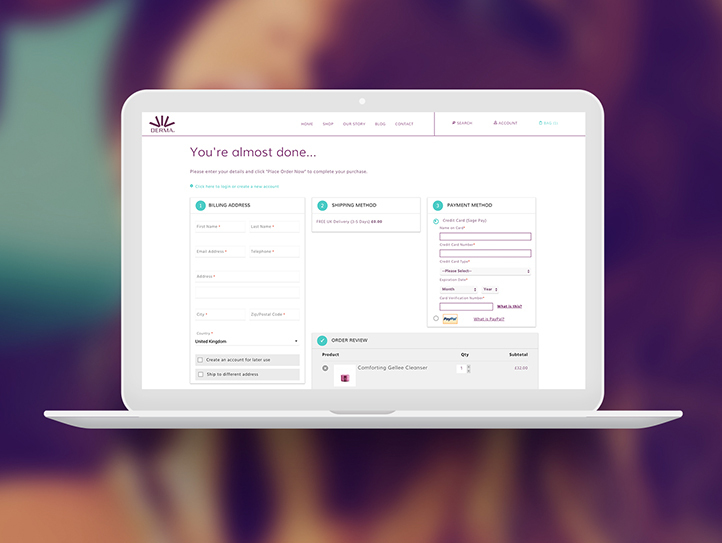 Take a look at the BetterYou site for yourselves and see what you think!